When was the last time you heard about a house being burglarized? Maybe you have been hit yourself. Not a good feeling, is it? You don't have to be a victim of burglary. While it is one of the most frequently committed crimes, it's preventable. Most home burglaries are done by opportunists who spot an open window, a faulty lock or a house that looks like no one's going to be around for a while. In California, nearly one third of all burglaries are classified as "no-force entries" because the burglars simply walked in through an unlocked door or climbed in an open window. You can reduce the chance that this will happen to you. Read this booklet to find out what you need to do. Most of the suggestions will cost you very little, but they will contribute immensely to your peace of mind. They will also safeguard your property. Remember - lock your doors and windows when you leave your home. If you have an alarm, use it. Don't become a crime statistic, and please share this book with your neighbor. No house is absolutely burglar-proof when professional burglars target your home. 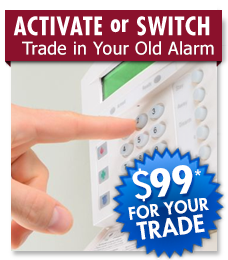 But they would be the first to admit that you can discourage burglars if you beef up your home security. You can begin this process by identifying your weak areas and fixing them. The checklist below will assist you in systematically surveying your home. Every "No" check mark shows a weak point that may let a burglar into your home. If you have security risks, read this handbook to find out how to correct them. As you eliminate the "No" check marks, you improve your protection. Remember, this survey will only identify your weak areas. You have not improved your home security until these are corrected. Complying with these suggestions will not, of course, make your home burglar-proof, but it will certainly improve your protection. If you would like professional advice and assistance in a thorough home security survey, call your local law enforcement agency. 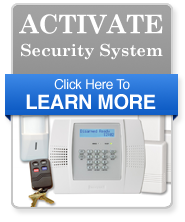 To keep your guard up, take a critical look at your home security every three to four months. Do not become lax - crime prevention is a continuous process. Do you plan so that you do not need to "hide" a key under the doormat or similar place? Are entry areas unobstructed by shrubbery and other decor to permit maximum visibility? Are your trees and shrubs trimmed to eliminate hiding places? Are lights installed around the perimeter of your house? Do the front, back or side porch lights have a minimum 60-watt bulb? Are your exterior doors of solid core construction? Do entry doors have a 190° wide angle viewer? Do exterior doors have cylinder-type dead bolt locks with at least a one-inch throw and beveled cylinder guard? Do the doors without cylinder locks have a heavy bolt or some similar secure device that can be operated only from the inside? Can all of your doors (basement, porch, french or balcony) be securely locked? Do your basement doors have locks that allow you to isolate that part of your house? Are all your locks in good repair? Are the door strike plates (the jambfastening that receives the bolt in the locking position) installed with three-inch screws? Do all out-swinging doors have locking pins or non-removable hinges with pins? Do sliding doors have an auxiliary lock that locks both the door panels together? Or do you have a lock that locks the active side to the frame? Is the garage door secured with a padlock, hasp or other good auxiliary lock? And do you use it? Do you lock your garage door at night? Do you lock your garage door when you are away from home? Do you lock your garage door leading into the house? Do you lock your car and take the keys out even when it is parked in your garage or driveway? Are all windows equipped with auxiliary locks or pinned? Have you replaced or secured louvered windows? Are your window locks properly and securely mounted? Do you keep your windows locked when they are shut? Do you have good, secure locks on garage windows? Do you have garage windows covered with curtains or blinds? Are you as careful of basement and second floor windows as you are of those on the first floor? Do you arrange for neighbors or friends to pick up newspapers, mail, packages and other deliveries? Do you notify a neighbor? Do you arrange to keep your lawn maintained? Do you use timing devices to turn your lamps, radios or televisions on and off? Do you arrange to have a neighbor put out your garbage can and put it back in the yard? Now that you have identified the weak points in your home security, you can take the next step and learn about securing your home. The next section of this handbook describes what's needed to secure your home - what's a good lock, a good door and secure windows. Many of the locks and other items described in this section are inexpensive and can be installed yourself. Some, however, may require a professional to install them. Your local police or sheriff's department can answer any questions you may have. True security begins with key control. When you move into a home or apartment or lose your keys, always have the locks re-keyed. You don't have to replace the lock itself, as re-keying of locks will render the previous keys useless. Any licensed locksmith can change the tumblers in your outside door locks quickly and inexpensively. Do not leave an "emergency" key under the door mat, on top of the door frame or in any other "hiding spot" so well-known to burglars. Never attach a name, address, or license tag to your house keys or your children's. If keys are lost or stolen, you will have an unwelcome visitor very quickly! Keep car keys and house keys separate. Never leave your house keys with an attendant when you go to the car wash or parking lot. Exterior lighting is extremely important in residential security. Each exterior doorway should be lighted from dusk to dawn so a burglar can't hide to break in. Yards and windows should be lighted. Night blind spots can be eliminated by use of ornamental porch and yard lamp posts. Yard lights and entrance lights can be equipped with sensors that turn the light on at dusk and off at dawn or when it detects motion. The motion detectors seem to work better because when the light turns on there is a change in environment. Motion detector lights can also be equipped with bell or other warning sounds. 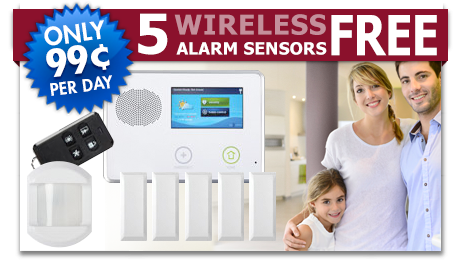 Check the sensors or motion detectors periodically to make sure they work. Keep doorways, windows and porches clear when planting bushes and flowers. Remember that the bushes that provide you with privacy also give a burglar a place to hide. Prune large trees. A burglar can climb the lower limbs to the second story. A well-maintained lawn is a very effective clue that someone is at home and cares. Plan your landscaping with both privacy and security in mind - planting thorny bushes and shrubs near windows and along fences may discourage burglars.Locked gates and well-maintained fences can make break-ins more difficult and prevent the removal of large items. Walks and driveways should be easily seen so no landscaping offers concealment for intruders. The hinge door is the most common type used in houses and apartments. They are used for front, porch, garage and basement doors leading into the home. All exterior hinge doors should be of solid core construction, 1-3/4 inch thick. The door frame should be of solid construction and be equipped with a proper strike plate. Hollow core or composition board doors can easily be battered or broken through. Drill holes below the hinge plate. Insert a "headless" screw, bolt or nail into the door jamb below the hinge plate. Leave at least one-half inch of the screw, bolt or nail extending from the frame. Once this is done, as the door closes, the pin in the jamb will penetrate the hole in the door and the door will be held in position even if the hinge pins are removed. The best defense for a good solid core wood door is a dead bolt lock with one-inch throw bolt. The security dead bolt lock can be used on any hinge door where the strike plate can be securely fastened to the door frame. When installing a dead bolt, attach the strike plate (the jamb fastening that receives the bolt in the locking position) to the door with four to six, three-inch brass wood screws. The screws should penetrate through the frame to a structural member. The bolt must extend a minimum of one-inch and contain a hardened steel insert. The dead bolt should contain a cylinder guard to prohibit twisting of the lock with a wrench or pliers. It must be solid metal - not hollow casting or stamped metal. The key way should contain a five-pin tumbler system to make it more difficult to pick. The connecting screws that hold the lock together must be on the inside and made of case-hardened steel. No screw heads should be exposed on the outside. The connecting screws must be at least one-fourth inch in diameter and go into solid metal stock, not screw posts. Many communities prohibit the use of a double key cylinder dead bolt lock because it may be hazardous if the door is to be used as an emergency fire exit. Consult your local law enforcement agency, fire department or lock-smith, regarding its use. If used in your home, a key should be left in the inside cylinder whenever the home is occupied. These locks on an outside door are an invitation to even the most inexperienced burglar. These locks can be forced by breaking off the knob, and frequently they can be opened by prying or slipping a piece of plastic between the jamb and the bolt. Do not rely on these locks. Install a dead-latching plunger type lock to supplement it. Many homes with double doors use half-barrel slide bolts on the inactive door. These are weak and inadequate and should not be relied upon. Additional locking devices should be installed. Flush bolts installed at the top and bottom of the inactive door of a pair of doors offer additional security since the intruder cannot get at these devices to tamper with them if the doors are locked. It is important that the bolts have at least one-inch of throw and that they protrude well into the top frame and threshold. Additionally, the strike plates should be well secured with at least three-inch brass wood screws. Dutch doors can be secured by adding a dead bolt lock to both the lower and upper door. If an exterior door has a glass window or if there is glass within 40 inches of the lock, you may want to install security screening, window guards or burglary rated glazing. Use non-removable screws to securely mount screens, bars or window guards. Sliding glass doors present a major security problem if they do not have the proper locks and if special steps are not taken to prevent removal of the door.A sliding glass door is lifted into position when installed and, therefore, must be lifted from the track to be removed. To prevent this, insert #8 or #10 sheet metal screws into the top of the door frame at both ends and the middle. Adjust these screws so that the door barely clears them when it is operated. If properly inserted, this will take up the slack between the upper part of the door and the interior frame. It is important to note that dowels alone placed in the door track will not prevent aburglar from removing the sliding door. The best lock for a sliding glass door is operable by a key from the inside. The lock bolt should engage the strike sufficiently so that it will not be disengaged by any amount of movement. When the existing inside pull has to be changed in order to accommodate a new deadlock, an inside cylinder pull is recommended as a replacement. A single lock is not recommended because of the softness of aluminum frames. A supplemental lock should be installed at the top or bottom, made out of steel and inserted in the sliding door at a slightly downward angle. Garage doors should always be closed and locked whenever you are away from home. Most garages offer burglars a wide selection of tools to use in breaking into your home. Garages provide ladders for accessing second story windows and also a convenient, hidden route for entry into your home through the connecting door. Remember, a securely locked garage will prevent burglars from the opportunity to steal automobiles, tools, bicycles, lawn mowers and other property. For overhead sectional roll-up doors, drill a hole of proper size in the door track, just above one of the guide rollers while the door is in the closed position, and install a padlock. Many doors are installed with pre-drilled holes that will accommodate this security feature without having to drill. Or, install eye bolts on the inside top of the garage door and the door frame. When the garage door is closed, a padlock can secure the bolts and prevent opening of the door. An electric garage door opener should have steel gears and chain activation. Periodically check the door to make sure it is adjusted to prevent the bottom from being lifted up. This stops the thief from crawling under the door. When you move into a new home, reset the code in the opener and the remote control units. Cane bolts can be installed on the inside of the door. These can only be locked from the inside. Sliding hasps can also be used on the inside of the door. Hardened steel hasps and padlocks are recommended to secure both sides of a lifting garage door. This is to prevent the lifting of the opposite side and crawling under the door. A hasp must be of hardened steel and installed with carriage bolts through the door. Use large washers on the inside. When installing hasps, make sure that the mounting screws are covered when the hasp is locked. After the bolts are secured, deface the threads of the bolt ends with a hammer to keep the nuts from being removed. Case hardened steel, 7/16 inch shackle. (Short, heavier shackles offer additional security.) Stainless steel shackles offer the ultimate in padlock security. Double-locking mechanism - heel and toe. A key retaining feature, whenever possible. This prevents you from removing the key until you have locked the padlock. Some padlocks have the key code number printed on them. This should be filed off. Otherwise, a burglar can go to a locksmith, give the brand/number and buy a duplicate key. Never leave your padlock unlocked. This is an invitation to have the padlock removed so that a key can be made and the lock returned to its original location. Later the burglar returns when no one is home and enters at his or her leisure, using that key. The weakest link in an attached garage is usually the side (rear) door. Doors with window panes or thin veneer wood or no dead bolt locks should be considered a primary entry for a burglar. Take measures to make this door as secure as the front door. In most cases, it is easier to either replace the door or use plywood on the interior to reinforce the existing wood panel, or to replace the glass with burglary resistant glazing to prevent entry through the window. Sliding windows should be secured by the same methods used for the sliding doors. Both the pan head top screws and the bracing devices are effective on this type of window, if the slider is on the inside. Several types of auxiliary locks which offer improved security are also available. These windows are the easiest to secure. Make sure the locking latch works properly and the crank which opens and closes the window has no excessive play. Replace any worn hardware. Key lock handles are available, if you desire. If the window is not normally opened or closed, remove the crank handle. To secure these windows, drill a hole that angles slightly downward through a top corner of the bottom window into the bottom of the top window, on both sides. Then place an eye bolt or eight penny nail into the hole to prevent the window from being opened. Auxiliary latches may also be installed. The most effective protection for double- hung windows is a key-locking security sash lock. If possible, mount the lock with two-inch wood screws. Apply a two-part epoxy resin glue to the sanded area and replace the piece of glass into the framework. Basement windows are one of the most common points of entry for burglars. Special attention should be paid to securing them if they are hidden by bushes or trees which provide burglars with an ideal place to work unobserved. Such windows should be replaced with plexiglass or polycarbonate, or reinforced with decorative security bars. If you use garage windows for ventilation, install the same security items as recommended for the windows in your home. Hang curtains or miniblinds to prevent a potential burglar from checking to see if you're home or window shopping for valuables. For extremely vulnerable windows, you may wish to consider installing heavy-gauge metal (iron) grilles. Before installation, consult your local fire department about emergency release require- ments. Grilles should be attached with one way screws or fastened from the inside. Bars and gratings are not recommended for sleeping rooms because they could create a fire hazard. If they are used, however, they must have an inside mechanism that allows them to swing out in an emergency. Burglars often try to find out if anyone is home by phoning. If you get several suspicious "wrong number" calls or "nobody-at-the-other-end" calls, tell the police. Warn family members, especially children, not to give out information by phone - especially about who is home, who is out, or how long anyone is expected to be out. 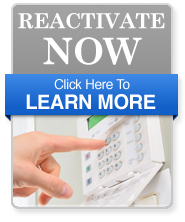 If you use an answering machine or voice mail service, do not indicate on your greeting that you will be gone for a specific time. A more appropriate message is that you screen calls and sometimes you may be home or not. If your name is in the telephone book, do not place your full name on the mail- box, door or apartment building roster. Use your first two initials and last name only. Your name on display only makes it easier for the burglar to look your phone number up in the phone book. Maintaining an appearance of occupancy even when your home is vacant is essential to thwarting burglary attempts. Timers can automatically regulate television, radios, and the interior lighting of a home to create such a deception. Timers should be used while you are on vacation, when you are out to dinner or even during the day while you are at work. One type of automatic timer has a 24-hour dial and allows you to set an on-and-off time to coincide with normal light usage in your home. These timers simply plug into the wall, and the lamp you want to use is plugged into the timer. For the most realistic deception, several timers should be used to simulate occupancy. For instance, a television and lamp in the living room might be on from 6:30 p.m. until 11:00 p.m. At 11:00 p.m., a lamp might go on in the bath- room until 11:30 p.m. and a bedroom lamp might go on from 11:00 p.m. to midnight. This would indicate to anyone watching the house that it was occupied. Inform one or two people of your vacation plans - a trusted neighbor who can keep an eye on things while you are gone. Have your neighbor pick up your newspaper and other deliveries. (Do not inform any delivery people that you will be on vacation.) If you will be gone for more than a week, arrange to keep your lawn maintained and for your garbage can to be put out and brought in. Notify the police/sheriff if you live in a jurisdiction which provides vacation checks. If, despite your precautions, a burglar does get into your home, do not give him or her a "bonus" of cash or easily-carried jewelry. Never keep large sums of cash around the house. Keep valuable jewelry that you do not often wear in a safe deposit box. Make sure that police, fire and paramedics can find your home in a time of emergency. Have your house numbers clearly mounted on a high contrast background. Each number should be at least four-inches. Have the numbers illuminated all night. Also, your house number should be painted on the center of the driveway next to the street. Have it repainted periodically because it can fade. Does your police or sheriff's department have a helicopter patrol? If so, on the rear section of your roof, add your house numbers so that the helicopter patrol can locate your residence from the air. The numbers should be two feet high and a contrasting color with the background. A directional arrow and number can show the increase in house number addresses. Police, fire and paramedic's emergency telephone numbers should be listed on or programmed into each phone in your home. Telephone stickers with these numbers may be available from your police, sheriff or fire departments. If you discover a burglary has been committed, leave the house undisturbed and call the police or sheriff's department from a neighbor's home. If you interrupt a burglar or if you see a prowler in or around your home, do not investigate yourself... call 911 immediately from a neighbor's home. Call 9-1-1 if an emergency situation threatens human life or property and demands immediate attention. Do not call 9-1-1 for non emergencies, this causes delays in the handling of real emergencies. The experience of many communities vividly confirms that you and your community can reduce the risk of burglary by simply marking your possessions. Some towns have had up to a 25 percent decline in burglaries after instituting such a program. The program is usually known as "Operation Identification." An inexpensive electric etching pencil or engraver - often available on loan from your local law enforcement agency - is used to engrave your personal property with your driver's license number. (Do not use your social security number. Federal law forbids the use of social security numbers to trace an individual.) Engrave your valuables with this information: "Stolen from (insert your State initials and driver's license number here)." This allows law enforcement to trace the number. Inscribe on furniture, appliances, television, stereo components, guns, cameras, lawn equipment, tools, musical instruments, personal computers, etc. These words can be placed on the base or rear portion of the item without marring the appearance of the item. Electric engraving pencils are as easy to write with as a ball point pen and are a worthwhile investment. Some small items, such as jewelry which cannot be marked, should be photographed. Larger items can be videotaped. Place your driverâ€™s license photo next to the item for easy ownership identification. Extremely valuable jewelry should be appraised by a reputable appraiser. Place a description and listing of the items on the back of the photograph. In fact, you may wish to photo- graph or videotape each room in your house. Once you have marked your property, record it on an inventory list. A sample inventory form appears in the back of this handbook. Put one copy of the list and photographs or videotape in your safe deposit box, fire-proof box, freezer portion of your refrigerator, or otherwise out of reach of a burglar. Also, save receipts with the model and serial numbers of your more valuable items and keep them with the inventory list. If you have a burglary loss - or a fire, storm or any other kind of loss - the list will help you remember what you had and the receipts will help you establish proof of their value for filing an insurance claim. Update your inventory at least once a year to make sure newly-bought items are added. There is evidence that burglars avoid both homes and communities where Operation Identification is used. So after identifying your property, let a would-be burglar know that the property is marked. Many local law enforcement agencies can provide decals to warn potential burglars that the home is a participant in Operation Identification. A typical homeowner's policy insures you against loss by burglary for up to 50 percent. Say, for example, your home is insured for $100,000. 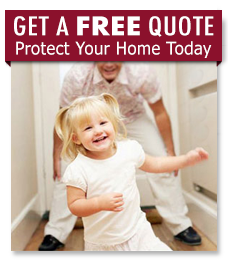 You have $50,000 in protection on the contents of your home, whether from burglary or another loss. If you rent, your burglary protection is the full amount stated in the policy. Policies and insurance companies differ in their provisions. Many insurance companies offer "full replacement" compensation for stolen property, while others will pay for the loss on the basis of the property's replacement cost minus depreciation. There may also be a deductible applied to this coverage. Valuable items - collections, furs, quality cameras, expensive jewelry - should be protected by an endorsement (sometimes called a floater) on your policy. This adds coverage on items beyond the limits that apply to certain kinds of property. Any questions you have about theft coverage should be directed to your insurance agent. This is a crime prevention program that uses people, in cooperation with law enforcement, to reduce crime in their own neighborhoods. Neighborhood Watch involves neighbors getting to know each other, taking the time to watch out for each other and working together in a program of mutual assistance. By cooperating with each other and the police, people can help fight crime in their community in the most effective way - before it begins! Neighborhood Watch can help you substantially reduce residential burglaries and other crimes. What are effective crime prevention techniques for houses, apartments and neighborhood safety. How you can be a good neighbor by becoming law enforcement's "eyes and ears" and helping them do their job of investigating and arresting criminals.